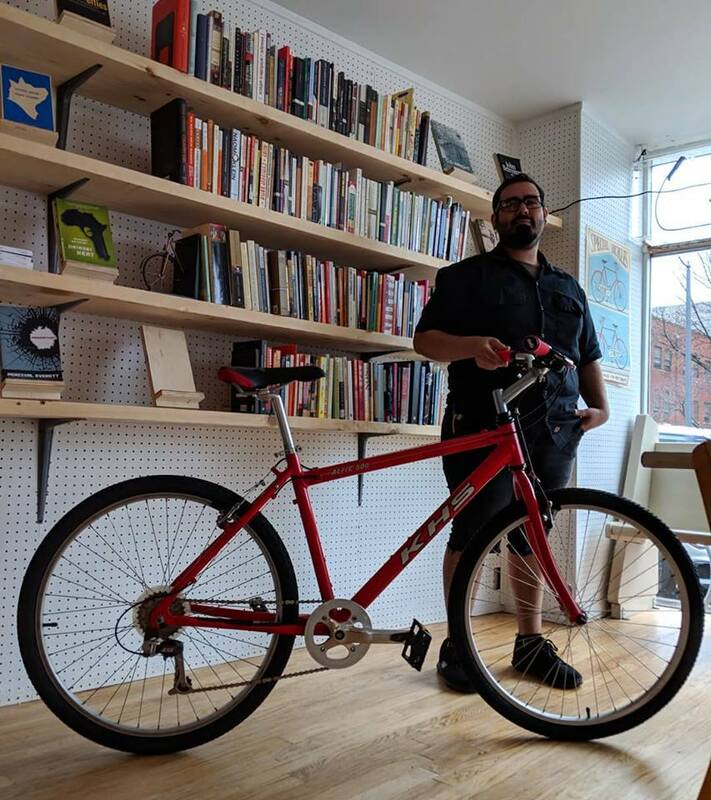 Although Berto Huertas just moved into his new space in March 2018, Sixth City Cycles has been around for years. From operating out of his apartment building basement in 2009 to owning one of the most talked about bike shops in Ohio City, he’s come a long way- and he doesn’t plan on stopping anytime soon. It started as a way to get to work- Berto was 16 years old without reliable transportation or money to get his bike fixed. That’s when he began watching videos online to learn how to fix his bike on his own. Fast forward a few years and Berto quit his hard labor job to pursue his passion. He began working full-time at different bicycle shops in Cleveland and remained an employee for 6 years until he decided to start working on his own. Next thing he knew, his 44th St. living room was filled with bicycles from friends and family that needed to be fixed or altered. Berto started realizing his personality plus his long-time hobby of fixing bicycles was beginning to translate into a tangible, and very popular, business. Amidst complaints from his neighbors about the basement overflowing, the opportunity to purchase a space with an emerging coffee shop, came at the perfect time. Now Berto, along with partner Mason Adkins and Coffee, Coffee, Coffee owner Trey Kirchoff, host a variety of events in the cohabitated space such as open mic nights, Saturday social rides, and even yoga classes. As for bicycle repair services, they do it all. Whether you need a simple tweak to a kids bike or want an affordable, completely custom-made city bike, Berto’s commitment to customer service leaves no one behind. Interested in finding out more? The best way to get the full experience, according to Berto, is to come in. “Every single day there’s something funny happening- see Mason fixing a window or join a random conversation that erupted in the middle of the coffee shop- it’s always a great time”. Learn more at sixthcitycycles.com or follow them on Facebook or Instagram at @SixthCityCycles.